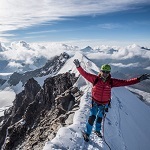 Published by Mountainblog on 06/26/2017 . 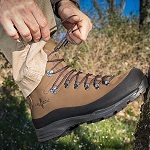 Ultra-technical boot developed for high altitude mountaineering, up to 4000 mt, excursions on glacier and ice climbing. The best lightness and performance merge in one unique boot thanks to the 3D Ergo Construction. Gore-Tex® membrane and protective gaiter with waterproof zip closure. Exclusive Diamond Technology for the best protection in action. Sole block with Smart PU and Vibram New Mulaz outsole. Performance is guaranteed. 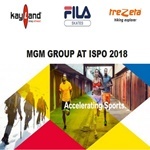 Kayland®’s main goal is the production of high quality outdoor shoes designed for a highly specialized market, with particular focus on foot anatomy and dynamics, technological research, careful materials selection, innovative design. The maintenance of a high profile standard in quality ensures to Kayland® a position of excellence in the outdoor global market. Product and service quality are the basis of customers’ loyalty and of a positive brand image. This is our challenge. We want top athletes and mountain professionals to proudly wear Kayland® shoes because they feel their added value in terms of performance. 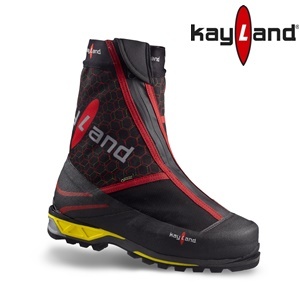 We want travellers and explorers to wear Kayland® shoes because they are functional and comfortable. We want people to wear Kayland® shoes, because we are passionate as they are. Kayland: producing a footwear is not enough.